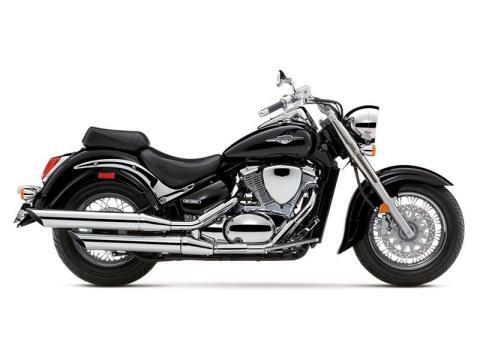 The Suzuki Boulevard C50 is a cruiser that’s truly capable of selling itself. A fuel-injected 805 cc engine provides ample power for long trips down the highway or the daily commute on city streets. Power is certainly a necessity for the Suzuki Boulevard C50, but comfort is its forte. Wide handlebars, kicked out front ends, a smooth suspension, and a comfortable passenger seat deliver an unforgettable riding experience. Link-type rear suspension is shaped to mimic the hard-tail lines of a traditional cruiser, connecting a truss-style swing arm and a single shock absorber with 7-way spring preload adjustabililty providing 4.1 inches of smooth and response suspension travel.